CINCINNATI – November 1, 2011 – All About Kids Childcare and Learning Centers today announced the opening of its fourth franchise location and seventh center overall in Anderson Township, Ohio. The new facility, which was opened by Bill and Pam Fitzpatrick of Cincinnati, will provide early childcare development programs for children from ages six weeks to 12 years old. The center has capacity for 186 children, employs 35 full and part-time staff and offers bus transportation to and from area schools. Located on 7633 Five Mile Road, All about Kids Anderson serves families from the Anderson Township, Fruit Hill, Cherry Grove, Mt. Washington and surrounding communities. “We had always wanted to own our own business that would provide a stable environment for our children and our family’s future,” said Pam Fitzpatrick. “We have watched All About Kids grow quickly the past several years and we were confident that it would be a good investment. Selfishly, the center provides us an opportunity to spend more time with our grandchildren while we were at the center with them. Our goal is to work closely with the community to provide a safe, fun and nurturing environment where children can learn and grow. We wanted to create a place that would provide parents with the peace of mind knowing that their children are not only enjoying the time they are spending at the facility, they are also beginning their educational journey by following a well- balanced curriculum. All About Kids is currently the fastest growing childcare franchisor in the state. The company has identified communities and locations for additional learning centers in Ohio and Kentucky and has plans to add several franchises in 2011 and 2012. Each center includes the latest technology such as WatchMeGrow.com remote monitoring camera systems for enhanced security, and is designed with the environment in mind. All About Kids provides a tailored, hands-on learning experience that meets the needs of individual children. The company’s green philosophy applies to all areas of the business, from the building construction to multiple aspects of student curriculum, which enables All About Kids to help kids understand their role in caring for the environment. For more information about All About Kids franchises, entrepreneurs should visit https://www.allaboutkidslc.com/franchise/ or call 513-463-0222. Founded by Cincinnati, Ohio natives, Jim and Tracy Kaiser in 2005, All About Kids Childcare and Learning Centers and its franchisees currently operate seven learning centers in Ohio and Kentucky. The company focuses on providing early child care development programs for kids from infants to 12 years old through safe, engaging and green learning environments. All About Kids will soon be the only LEED Certified Green childcare center in the Tri-State area and one of the only ones in the country. In 2008, the company introduced a franchise model that allows entrepreneurs to own their own All About Kids Learning Center. The company is currently selling franchises in Ohio, Kentucky and Indiana. 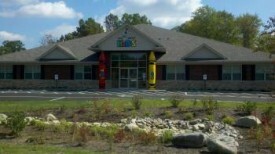 For more information about All About Kids Daycare, visit www.allaboutkidslc.com.